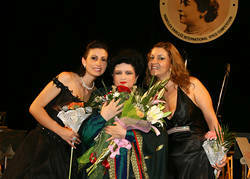 Marina Nicolesco with the winners of The Darclée Grand Prix 2007, sopranos Aurelia Florian (l.) and Georgeta Grigore. Celebrated soprano Mariana Nicolesco left her native country, Romania, in the 70’s, with a scholarship she won in a national contest to study voice at the Conservatorio Santa Cecilia in Rome. Her superb dark voice, with an enormous extention and her solid musical background - she studied violin from age 6 to 18 - brought her immediately to general attention. Still in the Conservatory, she is the Page in Verdi’s Don Carlos at Teatro dell’Opera in Rome in Luchino Visconti’s last production. Fascinated by the stage and the company, Cesare Siepi, Martina Arroyo, Grace Bumbry, she misses her replica: - Il Re (The King). 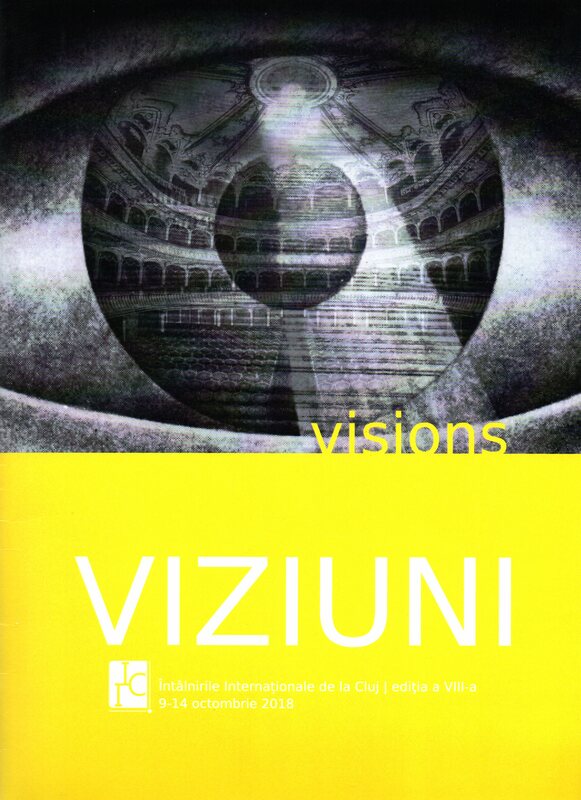 She laughs, with her laugh that became legendary, and begs Visconti’s pardon. Not disturbed at all by the incident, the great director decides: - This girl should be on stage all the time. She is a presence. This presence will soon be applauded and get ovations all around the world: unpaired Violetta in Verdi’s La Traviata, Donna Elvira in Don Giovanni or Elettra in Idomeneo by Mozart, Queen of belcanto in Bellini’s Beatrice di Tenda and Donizetti’s Anna Bolena, Maria Stuarda, Elisabeth I in Roberto Devereux or Maria di Rohan, she sang from La Scala in Milan to the Metropolitan Opera in New York, from Salzburg Festival to Bunka Kaikan in Tokyo, with Muti, Giulini, Maazel, Sawallisch, Ozawa in productions signed by Strehler, Ronconi, Ponnelle or Jonathan Miller. A dramatic moment for her was the very beginning of her career. 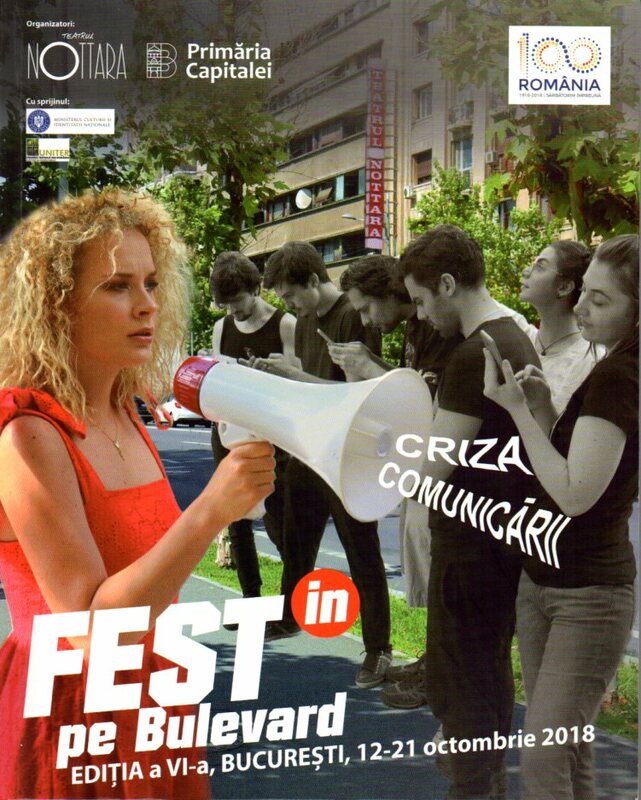 At the end of her studies in Rome, after her success in Milan at the International Contest Voci Rossiniane, she applied for three more months visa, that the communist regime in Romania refused to allow her. She decided then not to come back to her native country, following her artistic destiny. In Romania therefore she was condemned, in absentia, to a five year prison. At the same time, at her debut in New York, the New York Times was stating: “Miss Nicolesco is the kind of soprano capable to raise passion if not real battles between opera lovers. Her eventual weaknesses will ever be considered more interesting than the virtues of other sopranos”. This great voice and personality - who was designated to welcome Pope John-Paul II at La Scala, who sang at His invitation in the first ever Christmas Concert in the Vatican watched by one billion people, who appeared in the Holly City at its 3000 years anniversary singing the soprano part written for her voice by Penderecki in his Seven Gates of Jerusalem - sang for the first time ever on a Romanian stage only in 1991, in a memorable Concert at the Romanian Atheneum in Bucharest, a concert that she had to repeat three times at public request. As soon as she established in New York The Romanian Atheneum International Foundation, she donated the Atheneum a Great Steinway Concert Piano that this famous temple of music was missing for half a century.